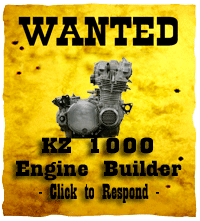 We are looking for someone to assist in the tear down and rebuilding of a KZ1000 engine. Once dissasembled, the block will be sent out to bore the cylinders and have the appropriate head work performed. Then the engine will be rebuilt. 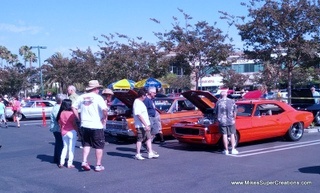 Local SoCal engine shops WITH KZ experience OK, or the experienced mechanic can work at Mike's shop in Camarillo, CA.